Adam Blake reconnects with his former foster brother, Julian, when Julian becomes a high school freshman. Adam quickly wraps Julian into his gregarious and fun-loving group of friends, and Julian starts to feel happier than he has in a very long time. But soon it's clear that everything is not right with Julian's home life. 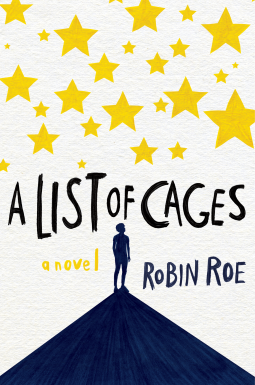 A List of Cages is one of those books that will just about destroy you. And, I have to caution, that you if have a hard time reading about child abuse, this book will be very triggering. It's got one of the most extreme and painful cases I've ever read. 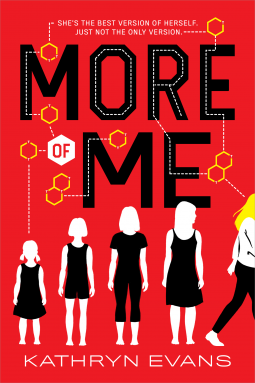 Robin Roe's debut is an emotional read. Be prepared to be wrecked. Review copy from NetGalley. 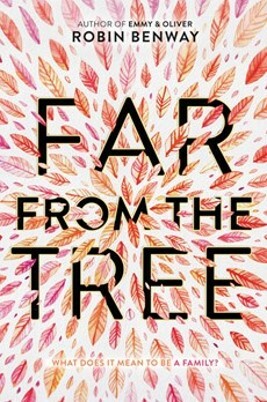 Far from the Tree is about three adopted siblings who meet one another for the first time as teenagers. Each of the siblings is dealing with something big. Grace has recently put up a baby for adoption. Maya's parents are constantly fighting and she feels out of sink with the rest of her all-of-a-kind family. Joaquin has been in foster care his whole life. He's now with foster parents who love him, but letting himself love them back is scary. Robin Benway writes a beautiful story about how these teens grow to love one another, forgive themselves, and open up about their pasts. It's an emotional read. I really enjoyed this book. Review copy from Edelweiss. 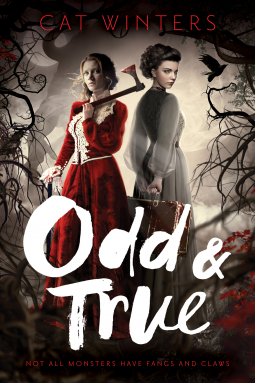 Odd & True is the story of two sisters, Odette and Trudchen, at the turn of the century. Abandoned by their parents, they grew up with their strict aunt. But Od was always able to make Tru's life a little more magical by telling her fantastical stories about their past. Cat Winters spins a story that alternates between Od's past and Tru's present. 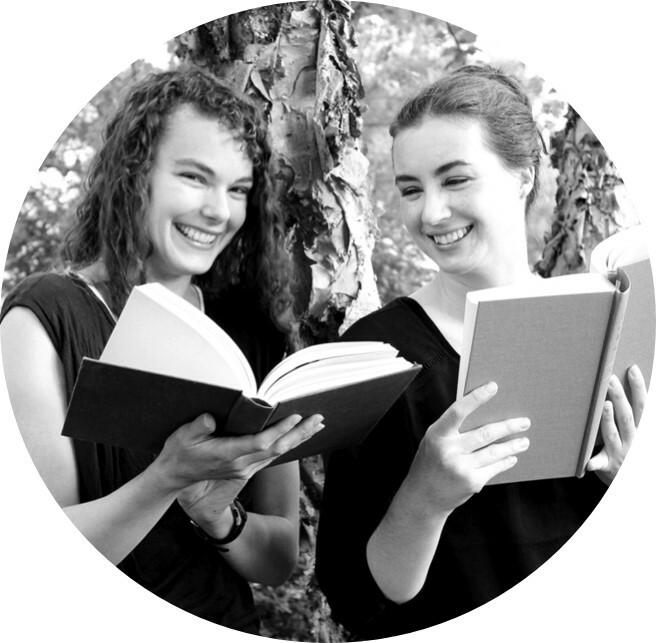 For most of the book, the reader doesn't really know if the stories that Od tells are true; if monsters really exist; if the girls really are destine to hunt them. I liked the bond between to the two sisters, but I especially loved the unraveling of Od's true past. Slowly but surely the past is revealed and the implications for the present become clear. Review copy from NetGalley. Noah and Jude are twins, and, as twins, they've always shared a special bond, but that was before so many things went wrong. 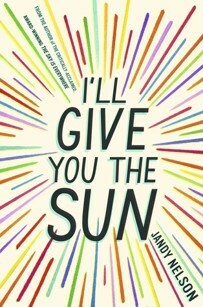 I'll Give You the Sun alternates between Noah's narration of what happened before the troubles and Jude's narration of the aftermath. The reader wonders how the siblings could have both changed so much and what went wrong. I really loved Jandy Nelson's story. Noah and Jude are both artists, and all the art was a real bonus for me. This book has some big issue-type topics in it, but they never overwhelmed the story which remains very character driven. The themes of finding oneself, finding one's family, and being honest were my big takeaways. Teva doesn't grow up in the normal way. Every year, near her birthday, Teva unwillingly clones herself. She lives in a house full of younger Tevas, whom she address by their year (Thirteen, Fifteen, etc. ), and this house full of bizarre "sisters" is challenging and involves a lot of secrets. The newest Teva is determined to be the last. When I picked up More of Me I was hoping it would have a bit of a Cat Patrick vibe, and it definitely did. Kathryn Evans's book is so weird, which is a good thing because it is definitely supposed to be weird. I really enjoyed how the reader wasn't quite sure whether or not Teva's condition was real or all in her head. Review copy from NetGalley.